And you wonder why she's called "Meathead"? Apparently, damn dog decided that since she is allowed on some furniture (this explains why I own leather), she should be allowed on the furniture in whatever manner she so chooses. 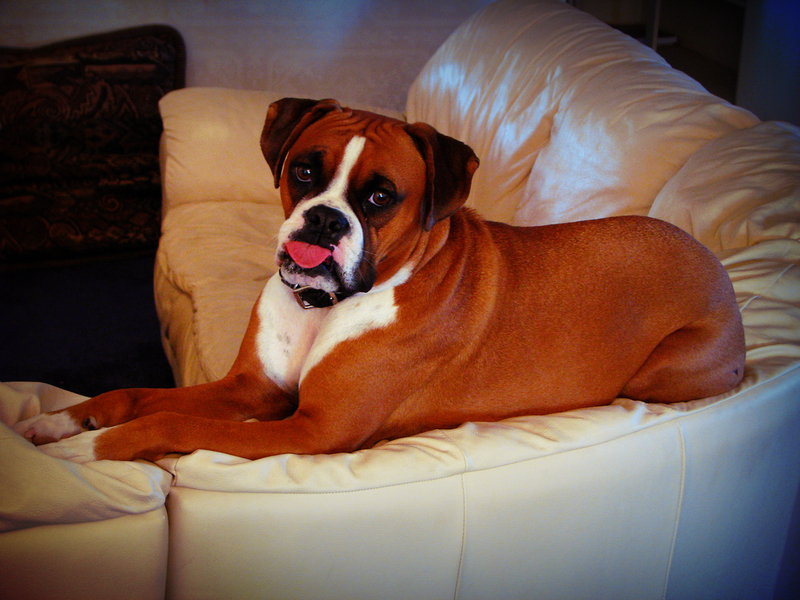 I’m used to cats laying on the back of a couch… but a dog? A 50 pound dog? C’mon! give me a break here!